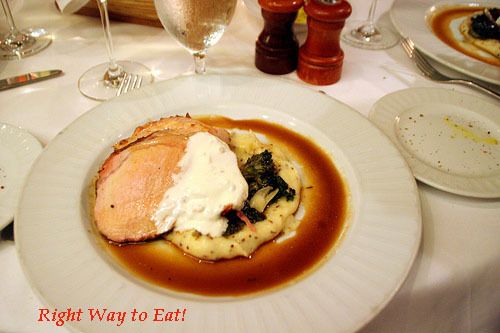 Earlier this year, I participated in few of the dining spots that were the participants of the seasonal DineLA week. It used to only last a week before expanding it to two weeks, but if it were successful, it get the extended run of 3 weeks. The idea of DineLA week was to expose the restaurants scene in LA to casual diners who might not be privy to what each location's cuisine would be offering. Usually a hit and miss in the bargaining department because it's not always the best dish that get offer to the public, but in many cases a strong effort by the restaurant can result a repeat business from the casual diners who are looking to splurge on a full course meal down the road. 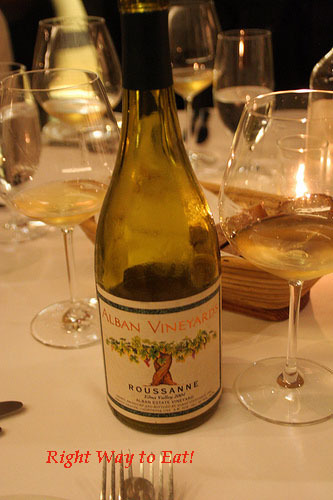 So in many ways, it is the best interest of the restaurant to put their best foot forward in ensuring that any repeat business is possible as any week night can be a lonely night in the reservation books. Take a look at my last editions of Spring of '09 to get an idea on how DineLA have evolved: Bazaar by José Andrés , Border Grill, Dal Rae, Wolfgang's Steakhouse By Wolfgang Zwenier . 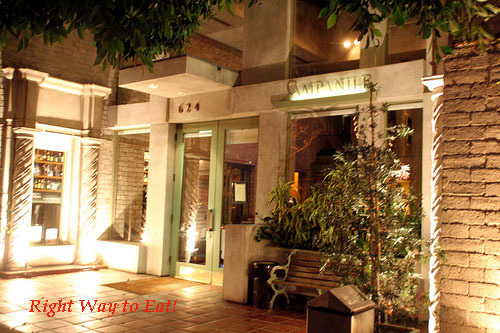 To get started on one of the earliest visit for DineLA, one of our good friend (and a new blogger) Gastronomnom decided to reserve a table at the much critically acclaimed Campanile on La Brea Ave. Interesting enough, another new blogger FoodForFel have also joined us as well as Gastronomnom's fiance Amy, our long time friend Edgar, and our dining companion Veronica. To get people familiarized with the menu concept, it usually involves a choosing of one of the starter, entree, and a dessert from the basic three choices in their brief DineLA menu. 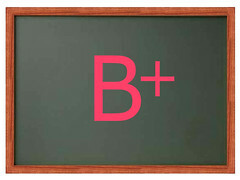 Be warn about this, it can be a hit and miss with great selections or a disastrous choice. Our starters become a divide and conquer as we made split decisions in all three choices (with the majority of three going for Poached Egg, two going for Roast Beet Salad, and one for the soup of the day). 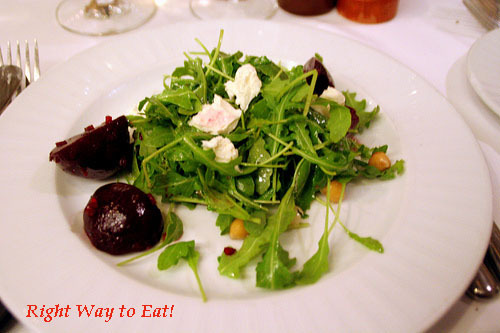 I decided to go for the roast beet salad for an easy cleansing of the palate. I wasn't quite sure about the poached egg because it was something that was either going to be a great dish having a running egg all over the persimmons or just a bunch of greens all over the plate. 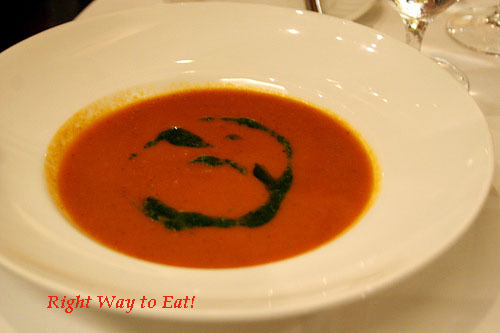 The soup of the day was nice looking warm tomato soup. In the end, I took the safer route with the roast beet salad and have no regrets (can't say the same for FoodForFel with her poached egg). Before the main courses about to arrive, I took a very long observation of the restaurant here in Campanile where many in attendance that night was either wearing business slacks or very relaxed comfort clothing. Casual or business are both welcomed and mixed very well in the atmosphere of a historical building. This two story building was originally built for Charlie Chaplin (yes, the same Silent Movie Star) for supposedly his office back in the early days. When he got divorced from his 2nd wife, good ol' Charlie was forced to sell this place. After decades of the place in changing hands, Chef Mark Peel who opened up the restaurant by purchasing this building with two partners, with then-wife pastry chef Nancy Silverton (where her La Brea Bakery was first to open - currently still right next door to Campanile) and Wine director Manfred Krankl, was able to restore the building and remodeled it with a restaurant in the main court yard complete with a bakery and bar on each of the side. Meanwhile, a few banquet rooms was upstairs overlooking the dining room of the restaurant. I was surprised to see the upper banquet room dedicated to the Silent Star with proclamation of "The Charlie Chaplin Room". You can't really missed it as you will get to see that room on your way to the restroom. My delight of the night was how well cook my pork loin were as it was absolutely scrumptious and quickly devoured by yours truly. The mashed potatoes were a big hit for me as well where the side dishes are both excellent in complimenting the main protein. I also got a few bites from Veronica in tasting the steamed mussels. 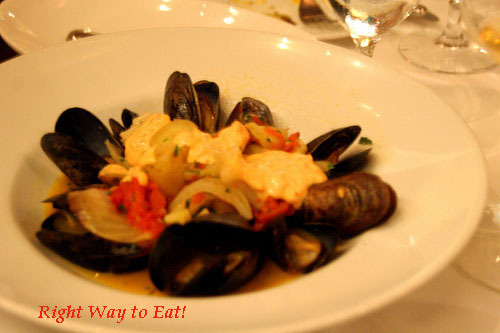 I have to admit I was skeptical at first, but did enjoyed the mussels as well. Alas, my big tummy wasn't able to take both full dishes. Funniest thing of the night, the only item we all agreed upon was the dessert in getting the bread pudding. 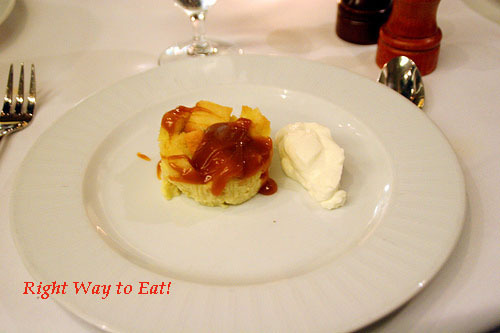 It was lavished with sweet caramel sauce and a counter reduction of creme to balance it out in giving a great dessert. That was probably the only thing I can say that everyone was able to agree on, where various of opinions are given in some of the dishes. The big question of the night, did Campanile do its diligence in attracting new patrons that otherwise would be intimidated in coming? With the price being preset for everyone ahead of time, it was easy enough, but did restaurant gives a favorable impression in return visit? For me, definitely. Now I can't wait to try his other contemporary American cuisine dishes that he presents. Interesting side note, I was able to visit Mark Peel's former work place at Spago in Beverly Hills. You can actually see some of the inspiration transfer to Campanile. 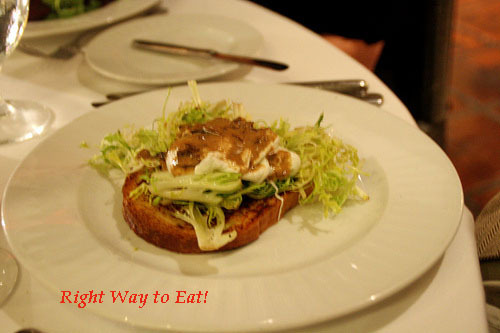 The Spago review will happen shortly, but check out places while you can. For $34 in that three course menu, it was well worth the risk to check out a new place. Yum yum! Glad to know that Campanile didn't skimp during dineLA! Nice to see that you're still alive Mike. Where you been? Feels like I haven't seen you in ages, and Danny misses you. I was happy about how enjoyable Campanile was. I have heard in the past, they were one of the better ones for DineLA meals, so I'm glad they still live up to it. I really enjoyed the poached egg dish. Not something I'd usually order for dinner but glad I did. But it would be perfect for a weekend brunch! I have noticed that some of the dish like the poach egg and one of the other starters was really meant for brunch. It's still a good dish and I think if I remembered correctly, the poach egg was a last minute replacement for the duck confit that was on the dinela menu.